Hi friends. 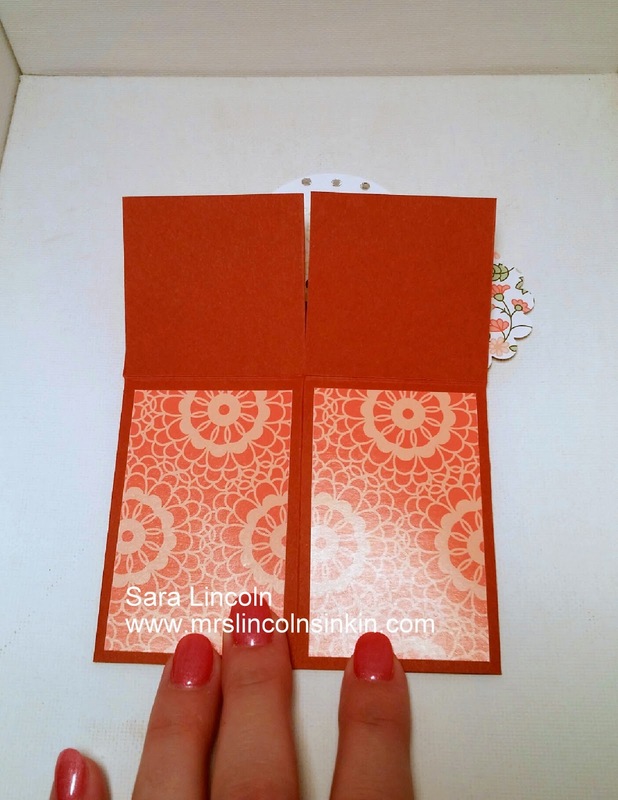 Welcome to Mrs. Lincoln's Inkin' and today's project share. 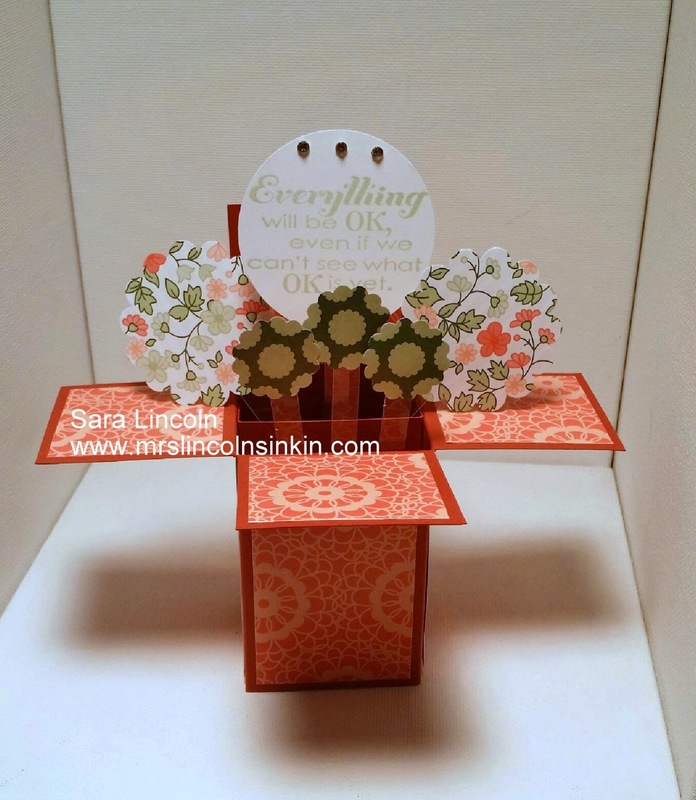 Today's share is of a pop up box that also folds flat so that you can send it through the mail. 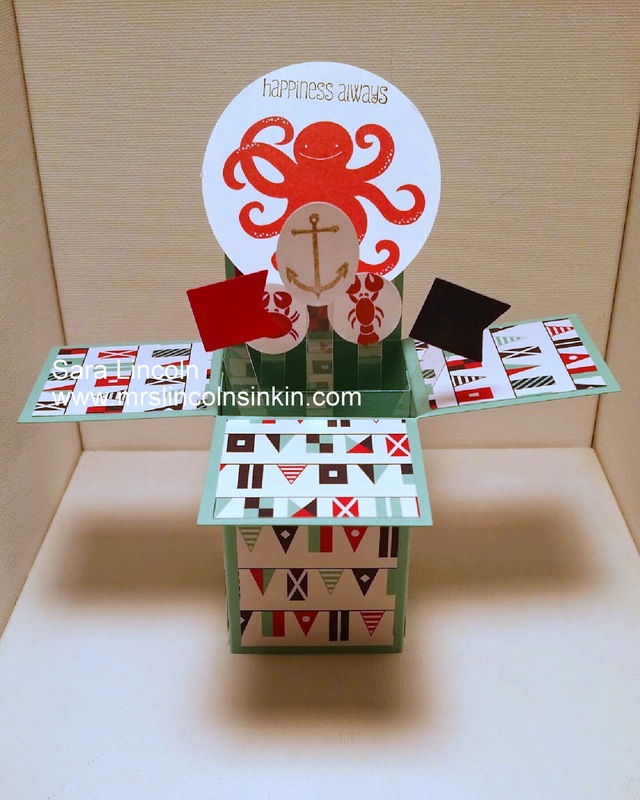 The project that is pictured above is using the Sea Street stamp set. I used different size punches to punch out the images from the stamp set and then accented it with 2 banner's from the Banner Punch. For this one I used the Gold Sobree Specialty Paper. I love this paper!!! And then used the Really Good Greetings stamp set. I wanted to show you too how it folds flat. The item that I am going to showcase today is going to be the Sea Street stamp set that I used in the first pictured project.